There was a time when Katie Ledecky wasn't winning gold medals. But in that time, she was looking up to other swimming legends – with no idea that she'd someday become one of them. Now, Katie Ledecky is signing autographs of her own after earning double-digit numbers in gold medals throughout her career and claiming world records left and right. 2016 Rio Olympics - Swimming - Final - Women's 800m Freestyle Final - Olympic Aquatics Stadium - Rio de Janeiro, Brazil - 12/08/2016. Katie Ledecky (USA) of USA reacts after winning and setting a new world record. REUTERS/Marcos Brindicci FOR EDITORIAL USE ONLY. NOT FOR SALE FOR MARKETING OR ADVERTISING CAMPAIGNS. 2016 Rio Olympics - Swimming - Final - Women's 800m Freestyle Final - Olympic Aquatics Stadium - Rio de Janeiro, Brazil - 12/08/2016. Katie Ledecky (USA) of USA competes. REUTERS/Jeremy Lee FOR EDITORIAL USE ONLY. NOT FOR SALE FOR MARKETING OR ADVERTISING CAMPAIGNS. 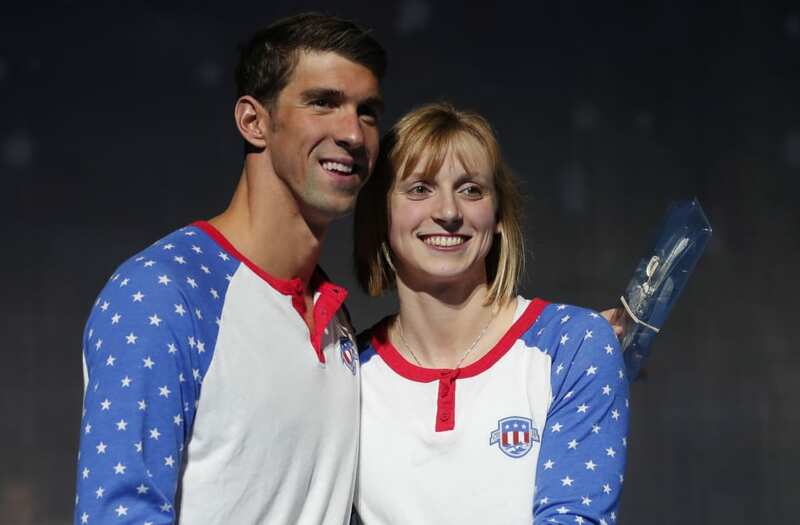 Both Phelps and Ledecky are dominating competition in the Rio Olympics. 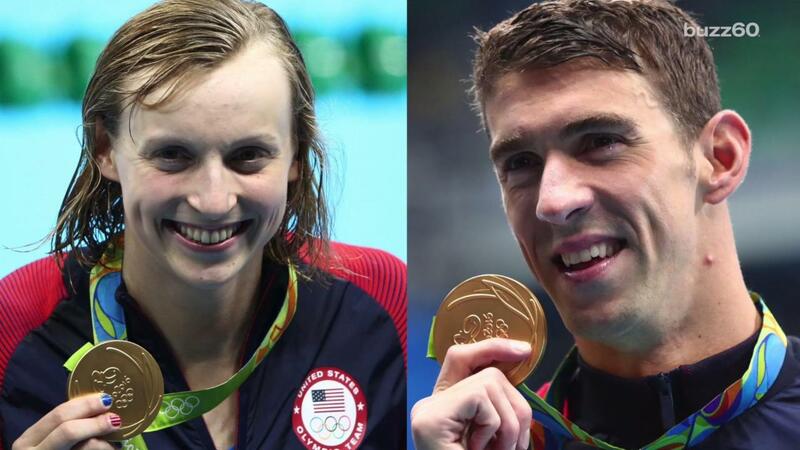 Phelps increased his career gold medal count to 21 and Ledecky claimed her second gold medal in Rio. And yes, they're still posing for photos together 10 years later.